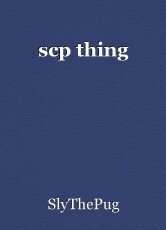 Inspired by the SCP Foundation and SCP:Containment Breach game. “D-9341, stand up and state your name and crime or be subjugated to corporal punishment.” Marcus stands up, his heart racing as fast as the twitches of the man cuffed next to him. “You have 3 seconds to state your name.” The soldier dressed in mostly blue and black kevlar SWAT armor took out a baton and flipped a switch, the dull stick had now been encompassed in blue light. “You’ll learn soon enough that this is the least fear that you will feel here.” The stunstick was brought to Marcus’ temple, everything then went cold. © Copyright 2019 SlyThePug. All rights reserved. Help Turtle Pick A Dress 4 Prom!